I cannot stop wondering: Is the United States ready to elect a president with the name “Castro”? Julian Castro has just announced his 2020 presidential campaign effort. He wants to succeed Donald J. Trump. He is a former San Antonio mayor and one-time housing secretary during the Obama administration. Castro is a dedicated Democrat and a fine young man. He even has an identical twin brother, Joaquin, serving in the U.S. House from Texas. That’s out of the way. What about the “Castro” thing? The United States long ago declared the Cuban dictator Fidel Castro to be one of this nation’s top foreign enemies. It imposed an economic embargo on the island nation just off the Florida coast. We had no diplomatic relations since shortly after the communists took power in Havana in 1959, but we did restore relations with Cuba near the end of Barack Obama’s presidency. But the memories are still long. We had that Cuban Missile Crisis in 1962, which followed the disastrous Bay of Pigs invasion the previous year. The Soviets sought to install offensive nuclear missiles in Cuba. The CIA sought to remove Fidel Castro from power, so it landed those fighters at the Bay of Pigs. Now an American politician with the name of “Castro” wants to become the next commander in chief. I must be hallucinating, or having some sort of flashback . . . which I assure you isn’t drug-induced. Texas Democrats, not Republicans, are all agog over the looming struggle for attention between two rising stars. One of them came so very close to being elected to the U.S. Senate; the other is a former big-city mayor and a former housing secretary for the most recent Democratic president. Stand tall, Beto O’Rourke and Julian Castro. O’Rourke almost defeated Republican Sen. Ted Cruz in the midterm election; he might run for president of the United States in 2020. Castro was mayor of San Antonio, the state’s second-largest city and served in the Cabinet of Barack H. Obama; he, too, might run for POTUS. Of the two of them, Castro seems the surer bet to toss his Stetson into the ring, although O’Rourke keeps tantalizing many around the country with messages that suggest that he, too, is likely to join the Democratic free-for-all. Texas once was a Democratic bastion, where only Democrats were seen and heard. Then it morphed into a Republican stronghold and the GOP snatched all the headlines, the air time and people’s political attention. It’s now becoming more of an inter-party competition, instead of an intra-party donnybrook. I like the idea of the two parties fighting hard for the hearts and minds of Texans and other Americans. As for O’Rourke and Castro, I am beginning to sense a rivalry in the making. Politico reports that a Texas political strategist, Colin Strother, sees the two men’s disparate upbringing well could produce a unique situation in Texas. They won’t be fighting for the same constituency, Strother guesses. “I see them as two completely different types of candidates,” he said. Castro sees himself as the underdog, given O’Rourke’s meteoric rise while losing his race to Cruz. He has a twin brother, U.S. Rep. Joaquin Castro, who’s been helping him raise money to try to bring down the O’Rourke colossus. O’Rourke, you might recall, campaigned against Cruz without the help of high-powered, top-dollar political consultants and/or pollsters. He just visited every one of Texas’s 254 counties, talked to voters wherever he found them. What astounded me was the amount of time O’Rourke spent in GOP-stronghold counties in rural West Texas, from the Panhandle to the Permian Basin. Didn’t anyone tell him the Panhandle is where the John Birch Society used to give “mainstream politicians” fits? I don’t know whether both — or either — of these young men are going to vie for the Big Prize in 2020. I’m just delighted to see the excitement they both are generating in a state that has grown quite unaccustomed to hearing noise from Democrats’ side of the fence. Candidates say they dislike it. So do journalists who cover these events. But bet on it! The 2020 presidential campaign/horse race has commenced. The media are all over themselves in covering who’s up and who’s down in the upcoming Democratic Party presidential primary campaign. MoveOn.org, the left-leaning political action group, now has Texas congressman Beto O’Rourke narrowly ahead in the race to become the Democrats’ next presidential nominee. Former Vice President Joe Biden is right behind him. Beto’s fans are no doubt going nuts. Fine. Let ’em whoop and holler! I find this kind of coverage annoying in the extreme. Why? For starters, Beto O’Rourke’s poll standing doesn’t mean a damn thing. It won’t matter at the end of this week, let alone next week. It could change overnight. These polls are as fluid as running water. The 2016 Republican primary campaign revealed the same kind of shallowness of the media coverage of these issues. The media become fixated on the “horse race” element, not the issues on which the candidates are running. So it is shaping up for the 2020 Democratic primary campaign. Beto is up this week. Last week it was Joe Biden. Sen. Kamala Harris might emerge as next week’s media favorite. Then there’s former San Antonio Mayor Julian Castro, who has formed an exploratory committee to assess whether he wants to run for president in 2020. The media are going to be all over this horse race matter. I tend to tune this stuff out fairly quickly once the coverage begins. The media — the very people who say they detest this sort of political coverage — are forcing me to close my ears early. Hillary Rodham Clinton has been saying what presidential nominees — and presumed nominees — always say when asked about who to select as a vice-presidential running mate. She wants someone who is prepared from Day One to become president. That’s what they all say, right? Sure it is. That brings us to a young man who’s apparently on Clinton’s short list of candidates. Stand up and take a bow, Julian Castro. Now he’d better sit back down. Castro in many ways would make an attractive candidate for vice president. 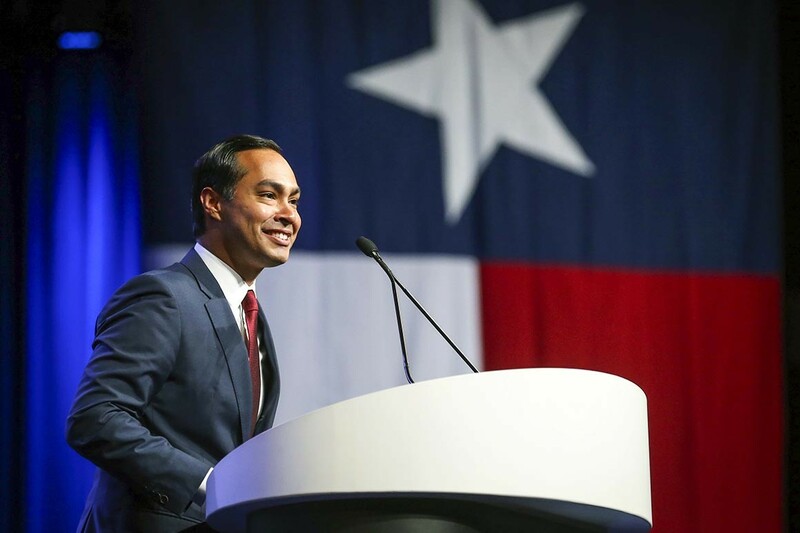 He’s young; he’s “telegenic,” meaning he’s handsome; he’s a Latino American with a compelling life story; he’s a former mayor of a major American city; he hails from Texas. But he’s got less than two years of experience in the federal government. Castro is serving as housing secretary. Castro once appealed to me greatly as a potential running mate for whoever would be the Democratic presidential nominee. Not so much now. As the Texas Tribune reports, he is woefully short on the experience and seasoning needed to assume the presidency if necessity demanded it. Well, the vice presidency has changed dramatically since the era when the VP’s main job was to attend funerals abroad. Many of them dating back to, oh, the days of Walter Mondale (1977-1981), have become major policy partners standing shoulder to shoulder with the president. Julian Castro is a fine young man. Is he ready just yet to stand in the on-deck circle in the next president’s administration. Umm. I don’t think so. Not just yet. Why not Bernie for VP? The more I think about it, the more plausible it’s beginning to sound. 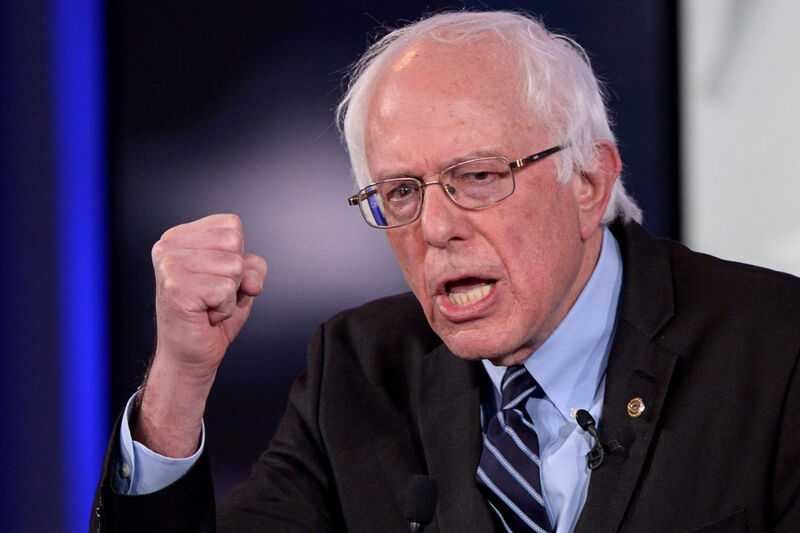 Bernie Sanders well might become Hillary Clinton’s running mate against Donald J. Trump. I had been thinking all along that Clinton might look more toward someone with, say, a Hispanic background. Former San Antonio Mayor Julian Castro — who’s now housing secretary in the Obama administration — was a logical choice. Sen. Elizabeth Warren’s name has popped up. That’s an interesting pick, too. An all-woman Democratic ticket? You go, girls! But now it seems quite possible that Sen. Sanders — who’s been battle-tested and proven to be up to the fight — might be the right kind of No. 2 to challenge Trump and whomever he selects as his running mate. Sanders already has pulled Clinton to the left on some of his pet issues: income inequality, war in the Middle East to name just two. At one level, he’s already won the ideological fight within the Democratic Party. Indeed, if he’s not chosen, I truly can hear Sanders making a “the dream shall never die” speech at the Democratic convention, echoing the stirring address given by vanquished Sen. Ted Kennedy at the 1980 convention that re-nominated President Carter. However, if Clinton picks Sanders as her VP nominee, then he’ll continue the fight forward. One obvious drawback is his age. He’s 74. He’d be 79 at the end of a first Clinton term. 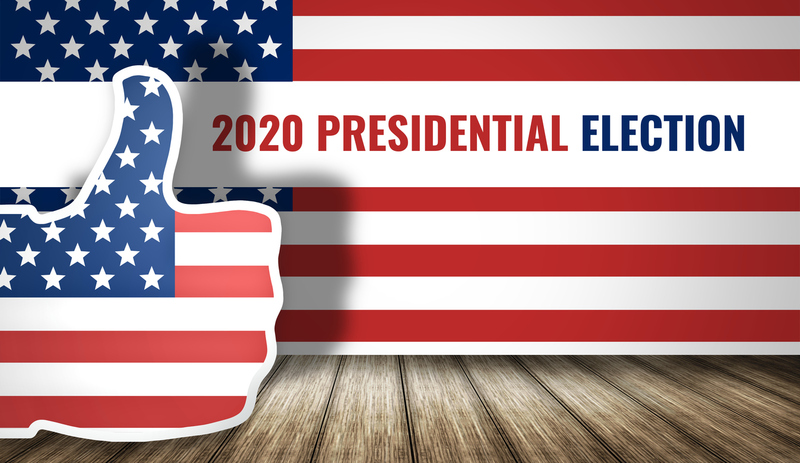 There might be a commitment to serve just one term as vice president if a President Clinton were to seek re-election in 2020. Of course, only the candidate knows who she’s going to pick. As for Trump, he said he’s narrowed his list to “five or six” individuals. He vows to pick an actual Republican and someone with “political experience.” He, too, has a list of former rivals he might consider, although at least two of them — Sen. Ted Cruz and Gov. John Kasich — have all but told Trump to jump in the proverbial lake before asking either of them to run with him. The mystery of who’ll be running for president in the fall has just about been solved. Now we’ll await these important choices for the No. 2 spots. Julian Castro has the chops to be vice president of the United States. I’ll lay that out right now. He’s as qualified to be VP as, say, Dan Quayle or Spiro Agnew. Heck, even Richard Nixon was considered a young buck when Dwight Eisenhower selected him to run as vice president in 1952; then again, Ike could have run with a trained chimpanzee and still been elected in a landslide that year. Castro’s stock as a potential running mate on a Democratic ticket led by Hillary Rodham Clinton appears to be rising. The Big Question: Does Castro’s presence on a Democratic presidential ticket deliver Texas to the Democrats? It’s not going to happen. However, it could make Texas more competitive than it otherwise would be. Castro is the highly charismatic former mayor of San Antonio who now serves as housing secretary. He’s had his federal job for less than a year and wasn’t mayor of Texas’s second-largest city all that long before moving to Washington. He did light up the Democratic National Convention in 2012 with a stirring keynote speech. Castro’s ties to the Hispanic community are quite obvious, given his name. What’s more, the name “Castro” doesn’t carry quite the negative political baggage it once did in this country, given that Fidel Castro is now out of power in Cuba and the United States is on the verge of establishing normal diplomatic relations with its former enemy. Sure, it’s still a commie state, but it poses no threat to the United States of America. These things occasionally have a way of reversing themselves. Someone else could emerge from nowhere to become the next favorite to join Hillary Clinton. Heck, someone else also could emerge — from the same nowhere — to bump Clinton out of her shoo-in status to become the Democrats’ next presidential nominee. Do I think either event will occur? Umm, no — definitely not the latter. For now, it’s fun to watch Julian Castro navigate his way through the treacherous world of political punditry and speculation. The young man already is adept at dodging the obvious questions that keep coming at him. 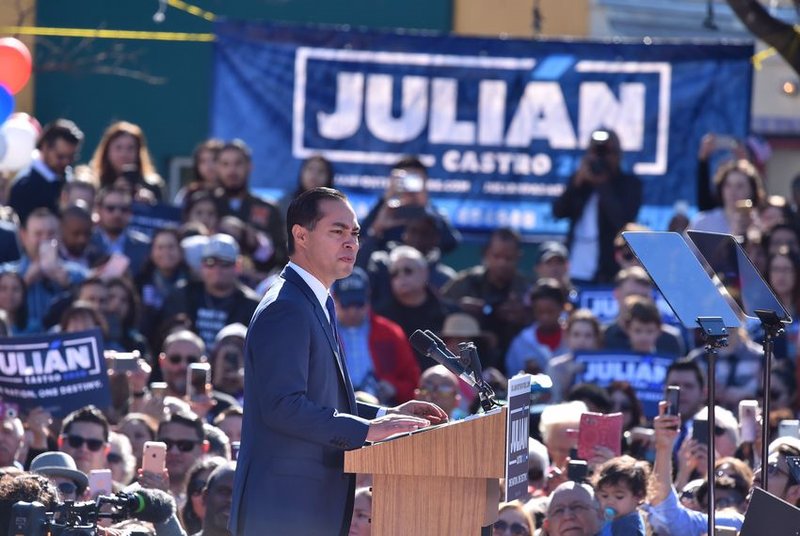 Julian Castro: right pick for HRC's ticket? I’ve already noted that it is absurd to try handicapping who will be the Republican and Democratic vice-presidential running mates next year. It’s still absurd to try to look so far in advance. That all said, one name keeps popping up on the Democratic side that’s beginning to make some sense. Let’s assume a couple of things. One is that Hillary Rodham Clinton will be the Democrats’ presidential nominee. Another is that Democrats are going to seek to tighten their grip on the Latino vote. Still another — and this remains a long shot — is that Texas, of all places, might be brought into play as the major party candidates fight for enough electoral votes to put one of them over the top. Here’s a name to consider: Julian Castro. This does originate with this blog post. Others have said Castro would be a nearly ideal choice for Clinton. He’s currently the secretary of housing and urban development. Before that he was mayor of San Antonio. He has an identical twin, Joaquin, who serves in Congress. Why should Clinton pick this young man? Well, he’s a handsome fellow. He speaks Spanish fluently; he also speaks English just as fluently. His story is compelling: raised by a single mother, graduated from Stanford University and Harvard Law. He’s an up-by-bootstraps kind of man. Democrats have done well in recent election cycles with Latino voters. Republican President George W. Bush made serious inroads with that demographic group in 2000 and 2004, but it’s gone downhill ever since. Clinton could cement the Democratic hold on Latino voters by putting Castro on the ticket. As for Texas? Well, let’s just say that the hill for Democrats in Castro’s home state remains quite steep. The state remains heavily Republican and at this moment I cannot see how a Democratic presidential ticket — even one with a Latino in one of the spots — carries the state in 2016. Maybe in 2020. Castro, though, could make the state competitive, forcing Republicans to invest campaign money in a place that since the 1980 election has been a shoo-in for the GOP. Am I predicting Clinton will select Castro? Come on. Give me some credit. I’ve said it’s too early to make that call. However, it wouldn’t surprise me. The blog post attached to this short note is meant, I believe, to illustrate the absurdity of handicapping the major parties’ presidential tickets. But it’s happening in some quarters. Who would the candidates, Democrat or Republican, want to run with them? It’s all a sort of parlor game played by people I believe have too much time on their hands or who see themselves as experts on something about which they know nothing. I remain somewhat — although less so than before — that the Democrats will nominate Hillary Rodham Clinton at their convention next year. 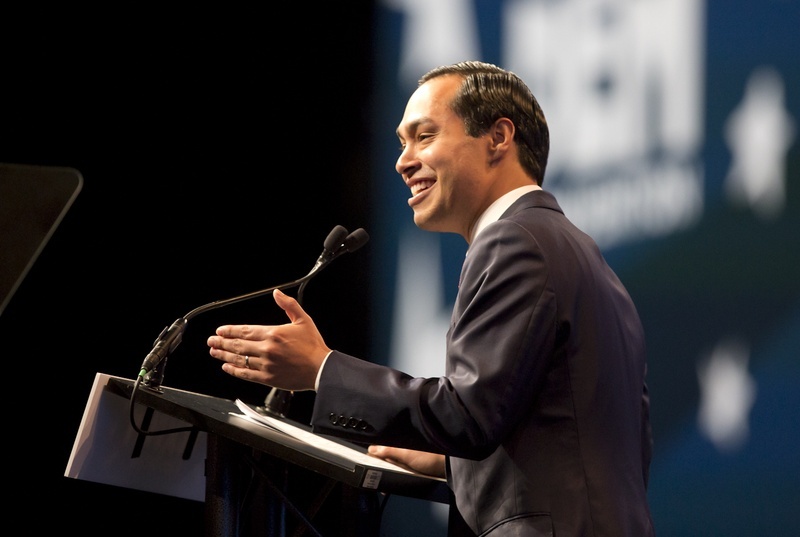 One name being kicked around is Julian Castro, the Texas Democrat who once served as mayor of San Antonio; he’s now the nation’s housing secretary. Sure thing. Let’s talk about it. Maybe later. The Republican field is as wide open as it can possibly get. Besides, I don’t like handicapping these things. No one’s going to ask my opinion, although I might be prone to give it the closer we get to the days of decision. Has the '18 governor's race begun … already? Erica Greider, writing for Texas Monthly, may be onto something. She thinks it’s possible that the 2018 race for Texas governor might formulating not quite a month into the current governor’s first term. Her clue? Two aspects relating to Gov. Greg Abbott and Lt. Gov. Dan Patrick. One is that Gov. Abbott has a lot of campaign cash stashed away. Indeed, he kept raising boatloads of money long after it was understood by everyone in Texas that he would be elected in a landslide over Democratic challenger Wendy Davis. Two is that Lt. Gov. Dan Patrick isn’t shy — as he demonstrated by challenging incumbent David Dewhurst in 2014 — about poking the establishment in the eye. She also believes Land Commissioner George P. Bush isn’t going to languish forever in his office and he might want to run for governor as well. All three of them are Republicans. Abbott, of course, is in the driver’s seat. However, by my way of thinking, Patrick is going to pressure him to the right to ensure that he follows the TEA party agenda that Patrick is formulating as he runs the state Senate. I was intrigued, for example, by the team of ad hoc citizen advisers he formed, several of whom have TEA party connections. Greider also notes one more potential rising political star. Too bad he’s a Democrat. That would be U.S. Housing Secretary Julian Castro, the former mayor of San Antonio. Texas Democrats get all hot and bothered when his name comes up as a possible candidate for governor. Well, Wendy Davis had the same impact on Democrats when she announced her candidacy for the 2014 race. She flamed out. The political tide continues to pull Texas politicians hard to the right. Politicians such as Patrick are preaching the state’s electoral choir. Greg Abbott hears it, too. If the governor doesn’t mind his P’s and Q’s during the next, oh, three-plus years, he is going to get a challenge from within his party. And as Texas Republicans have shown they are able to do — e.g., Ted Cruz beating Dewhurst for the U.S. Senate, and Patrick knocking Dewhurst out of his lieutenant governor’s office — I wouldn’t be the least bit surprised to see another GOP knockdown battle in 2018. Texas lieutenant governor candidate Dan Patrick lives in a dream world. He’s dreaming of a day when Texas can stop illegal immigrants from streaming across our southern border. As it is noted in the link attached here, that is an impossible goal. It can’t be met, short of erecting a wall along the entire length of that border and positioning armed guards every 500 yards. Patrick is running in the Republican runoff against Lt. Gov. David Dewhurst for the job Dewhurst has held since 2003. He recently debated the issue of immigration with San Antonio Mayor Julian Castro. The two men shook hands afterward and parted on friendly terms. However, Castro is right and Patrick is wrong on the best way to handle the issue of illegal immigration. We cannot seal off our border; it’s too expensive and too difficult to maintain. We cannot deport every illegal immigrant who’s come to this country in search of a better life. We must enact immigration reform that gives those who are here illegally some path toward citizenship if they want it. If they don’t, well, we can show them the door out of here.